When attempting to make a left turn into an intersection or driveway, Washington law requires the left turning driver to yield to oncoming traffic that is in the intersection or close enough to be an immediate hazard. Failures to yield at a left turn is a common cause of car collisions and can lead to significant injuries and residual damage. Determining who is at fault in such a car accident, based on this law, would appear to be a simple task. However, as with many laws, what appears to be a simple requirement can quickly become a point of contention in left-hand turn cases. In accidents involving left turns, disputes can arise as to what constitutes close enough to an intersection to be an immediate hazard and whether the other driver has any comparative fault. Arguments can also be made about what “yield the right-of-way” means. RCW 46.61.185: Vehicle turning left. 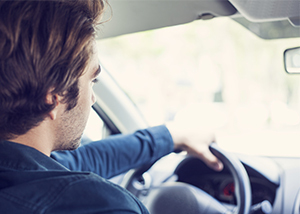 Given these variables in what at first glance is a straightforward legal requirement, if you are in a car accident involving a left turn, you need an experienced and knowledgeable personal injury lawyer in Spokane on your side. The attorneys at Parke Gordon Law Firm will work hard to get you the compensation you deserve. Contact the law office of personal injury attorney Mat Parke today for a free consultation. This is your opportunity to speak with an experienced personal injury attorney about your case for free. Call (509) 482-7274 to get started on receiving a fair settlement from your personal injury case.